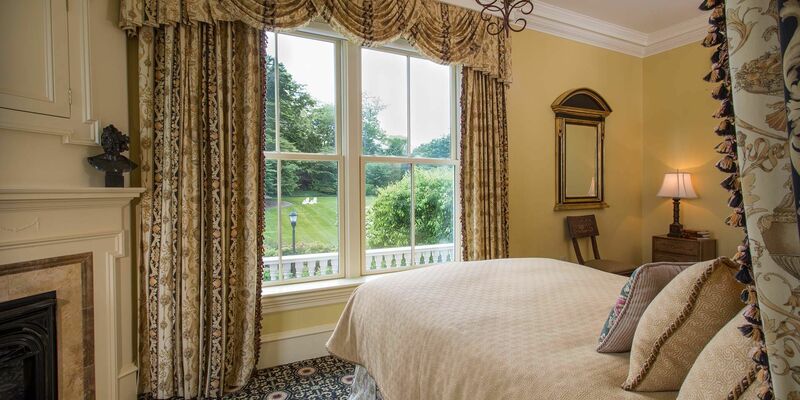 Immerse yourself in a sunny garden and ocean view hotel room near Newport Mansions that features rich clay, gold and ochre. You’ll delight in the Greek dentil molding and traditional torch designs that open up to a walkout deck with breathtaking views of the Atlantic Ocean. Designed to feel welcoming and comfortably residential, the Greek Revival Room features extremely charming views. 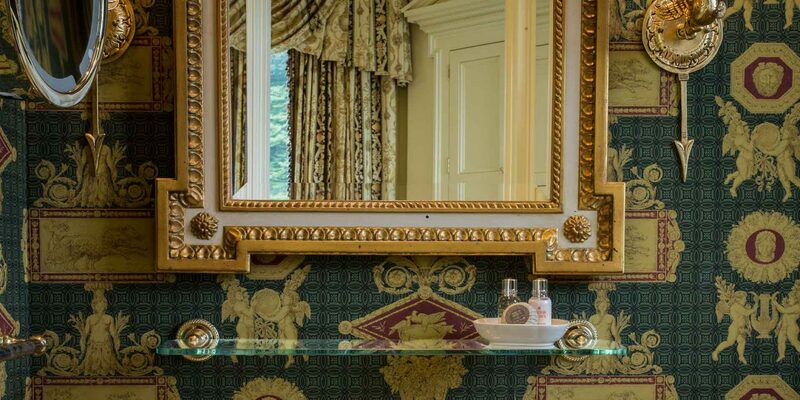 If you're looking to stay in one of the best and most luxurious Rhode Island historic homes, welcome home to the Greek Revival room. Ideal for an intimate getaway, this cozy room embraces you with timeless warmth and classic design elements. Whether you’re interested in spending the afternoon at Easton’s Beach or shopping at one-of-a-kind Newport boutiques, you’ll enjoy spending a night in a luxurious antique bird’s eye maple bed alongside a crackling corner fireplace. The Greek Revival Room is located on the second floor and requires climbing one flight of stairs. 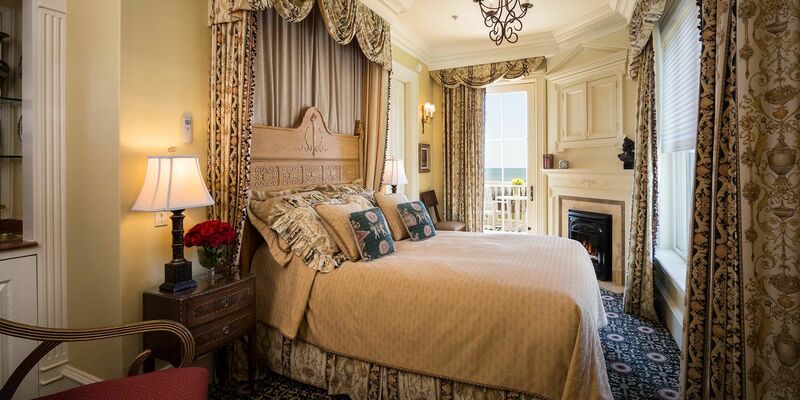 Please note: The Chanler does not have an elevator. Don’t miss an opportunity to wake to stunning ocean and garden views. 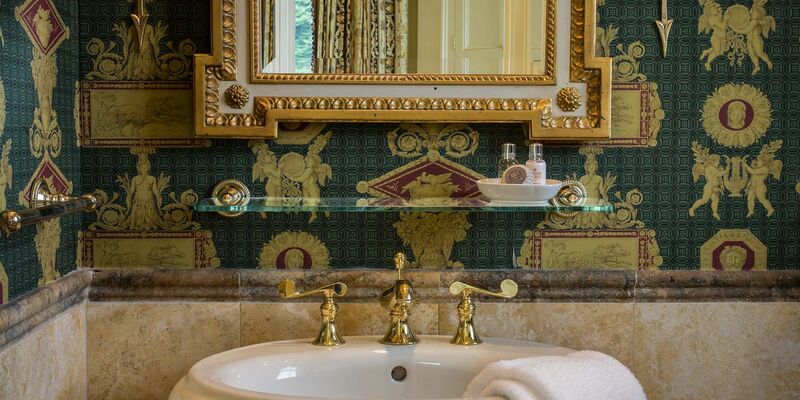 Stay in Greek Revival and treat yourself to the best of both worlds.